Every single industry is rushing to make the switch on the architecture of their products. A lot of manufacturer keep discovering the benefits of working with plastic resins to make their products, and that’s a good thing. All these small plastic parts are easy to produce, cost very little in terms of budget and make any device lighter. The problem with the need to catch up to their competitors in the use of these new builds is that too many times manufacturers sacrifice expertise on behalf of functionality. Many companies look out for a plastic injection molding manufacturer to work on their planned solutions to take their products to the next stage, but not too many of them do the proper homework to review their existing specs. Plastic resins certainly change the way thing work, but a switch on materials also changes everything on your products. The side effects of using plastic parts can either enhance the functionality of your products, or it might demand a brand new design to work correctly. The analysis of these updates needs to go through heavy engineering, and we are going to give you a few reasons why this must happen this way. The creation of any plastic part that is included in a larger device needs to undergo a revision on every single specification that makes it work the way it does. The choice of material is the first thing that needs to be handled. The transition from metal to plastic will cause an impact on the natural performance of the machine or device that is receiving the new piece. 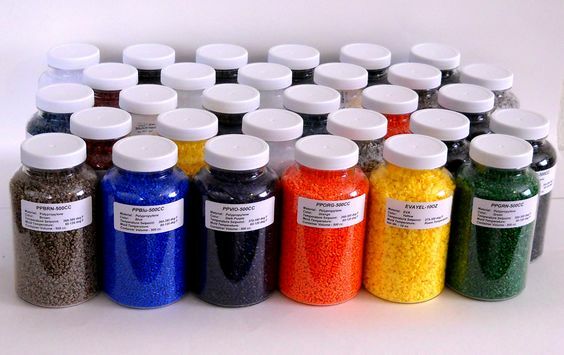 While a lot of plastics are very durable, some of them can’t perform as long as metal. It becomes necessary to combine material to create something that works just as good, if not better than the original piece. There is a lot of other factor playing essential roles in this transition. Many of them have to do with performance. While it’s inviting to make the switch for the sake of saving money, manufacturers always have to look at the larger picture. The low cost of reproducing a perfectly functional metal part for a plastic version that can’t outlast the performance of the original is an invitation to legal problems and unhappy customers. The goal of engineering at this stage is optimizing the relationship between manufacturing, expenses, and profits. Once the numbers have clicked it’s time to make a call. Proper engineering will always yield something to lose and something to win. If the balance is on your favor and working on the best interest of your brand, you can give it a go. Remember: the goal of this part of the process is to make your product as functional as it’s always been or better. The test runs and trials should give you that type of results. If everything goes as planned, your company will experience a boost in profits and a reputation for quality products. Those are the signs of a job well done. Don’t let a fancy vocabulary full of technicalities wrap you like a gift. The easy way to make sure you are working with the right engineer to secure the success of transitioning your products to use plastic parts is to take notice of the tools they use. Professional engineers work with CAD files, and they can tell if a design works or not from very basic outlines or rough sketches. A competent engineer put his mind on optimizing everything they see, so it’s not uncommon to hear from them what works what doesn’t cut it. If we look for further signs, we can ask them to show us the basics of their initial plans. A sound engineer is a natural planner who avoids wasting time and resources. Their takes should lead to a few prototypes before having a finished version of the part you are working on. While trial-and-error is typical at the development stage, proper engineers avoid too many of them since they delay the project making you lose time and money. Since plastic parts often use 3D printing technology, engineering can make it functional on release. You get to see the mechanics of your product first hand before going into production. To summarize: how do you know if you have chosen the right plastic injection molding manufacturer? It’s not so hard to notice. The right company will have everything we have said in the past few lines into consideration. The engineering department will have the most assertive professionals ready to tell you what works and what needs to be changed. Their expertise makes them well-versed on all matters related to bringing to life your newly conceived plastic part from a basic concept to a fully functional completed reality. Engineers understand the properties of the materials that make your component work as well as the benefits of the materials used to make them. What are Plastic Injection Molding Services and its advantages?